After the last chair stops churning at 4 pm, what do you do? Most people will head back to their condos or hotel rooms to relax before heading out for dinner. Others will head straight to the hot tub and call in a pizza from GH Pizza. For those looking for an evening of fun, Lincoln has several local restaurants and bars perfect for après ski. No one really knows who invented après ski, but since it’s a French word, we’re guessing it was the French. If you’ve ever skied in Europe then you know very well that après ski is entwined with the local culture. After a day of skiing, nothing is better than resting your sore legs than working on your ski tan outside on the deck while drinking a cold beer. For many skiers and riders, it’s the time to reflect on your day of skiing and share your epic adventures on the hill with those who love the snow as much as you. If you want to take a break from skiing and enjoy an afternoon of après ski then you have two options at Loon Mountain. 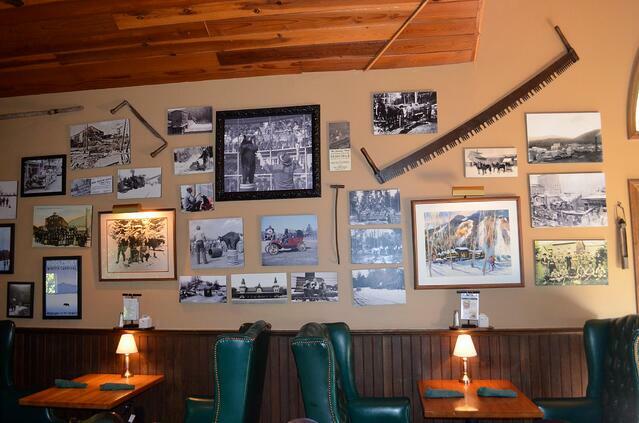 The Paul Bunyan Room, located upstairs in the Octagon Lodge, is “the birthplace of legendary après at Loon.” Attracting the younger crowd and the local crowd, the slopeside bar is home to 32 draft beers on tap and live entertainment during the day and night. The wraparound deck is excellent on a warm day to watch the action on the nearby Superpipe. 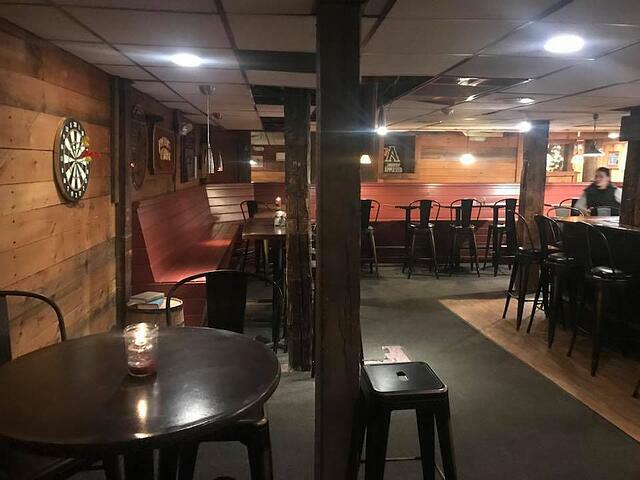 Throughout the winter, the Paul Bunyan Room hosts Legendary Nights where bands from all across New England will play into the wee morning hours (here in the mountains, that's usually around midnight, maybe one). For a more relaxed après ski, head to Babe’s Blue Ox in the Governor Adams Lodge. The fully stocked bar serves up great cocktails and food like a weekly Charcuterie Board special. You’ll often find some of the “old timers” who have been coming to Loon for decades sitting at the bar. Gordi’s Fish & Steak House on Main Street is your quintessential White Mountains ski bar. Owned by two Olympians, Gordi’s pays tribute to Gordi Eaton who was on the 1960 and 1964 Olympic ski teams and his wife, Karen Budge Eaton, who was on the 1968 and 1972 Olympic ski teams. Enjoy drinks and dinner surrounded by ski memorabilia and old photos of yesteryear while warming yourself up by the roaring fire. From 4 pm to 5:30 pm you can enjoy their special Apres Ski menu with daily food specials like meatball sliders, NY style hot dogs, and more. Black Mtn. Burger Co. is another great option for après ski snacks and brews. The delicious pub fare pairs perfectly with their beer and specialty drinks menu. Look for their blackboard with tasty drink specials daily. 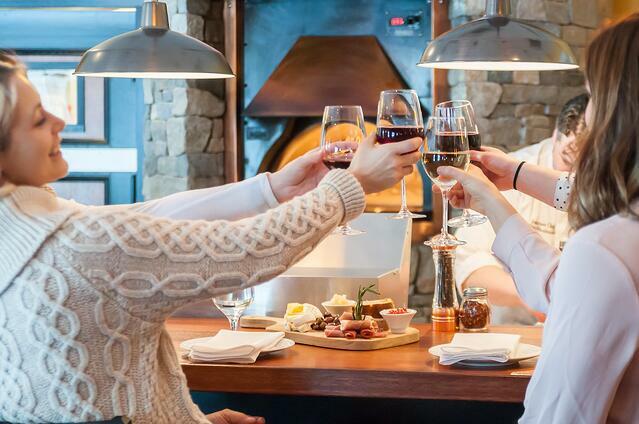 Their sister restaurant, La Vista in the RiverWalk Resort, offers a quieter and more sophisticated apres ski with their Italian cuisine, wood fired pizzas and delicious appetizers. 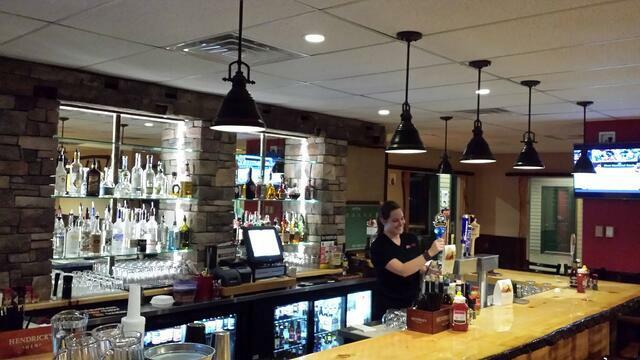 Their fully-stocked bar and wine cooler have something for everyone. Located across the parking lot is One Love Brewery is Lincoln’s newest brewery. Family owned and operated, One Love Brewery brews delicious German Lager-style beers and serves excellent Gastropub food. The rustic feel of the old mill pairs beautifully with their One Love Brewery "Czech Your Head" Pilsner. 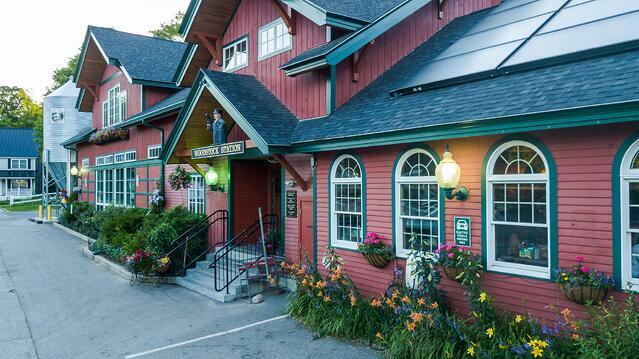 The Woodstock Inn & Brewery is a local favorite. Just a 5-minute drive from Lincoln, the Woodstock Inn & Brewery was the 3rd craft brewery to open in New Hampshire over 20 years ago. With just seven barrels, the brewery has now grown to 37 barrels. Their beer is a mix of hoppy IPAs and thick ales that pair perfectly with an after-ski glow. Maybe their "Frosty Goggles" sums up your day perfectly. The extensive menu is also great for refueling your tired muscles for skiing the next day. Truant’s Taverne is another local favorite in North Woodstock. 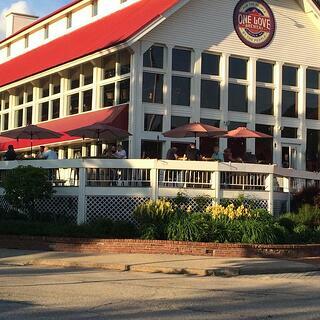 For over 39 years, the restaurant and pub has been cooking up fine foods and pouring great drinks. The bar pours 24 beers from tap, including mostly local brews. There’s plenty of live music and entertainment on Friday and Saturday nights. End the night with a round of pool or darts. If you don't have a designated driver to get you home safely, or if you can't end the night in the hotel restaurant and lounge, The Shuttle Connection is just a call away! With plenty of options for après ski at the mountain or nearby, there is no excuse to not enjoy a cold beer after a hard day of skiing. Put the ski boots away and slip on your dancing shoes. 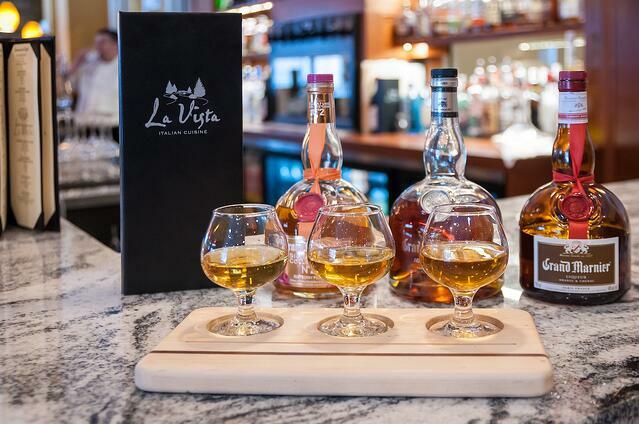 Welcome to après ski in the mountain ski town of in Lincoln, New Hampshire.